✓ If you have an 8 or a joker you can place it over any card. 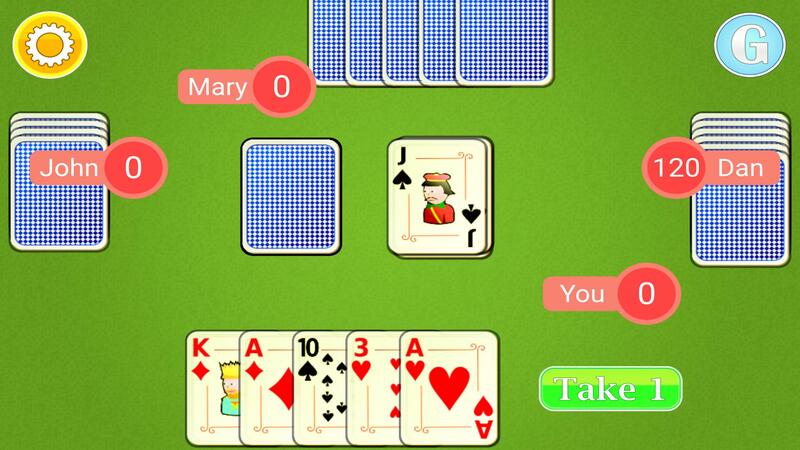 ✓ If you place a card of 2 the next player must take 2 cards from the stockpile. If he places a 2 the next player after him must take 4 cards and so on. 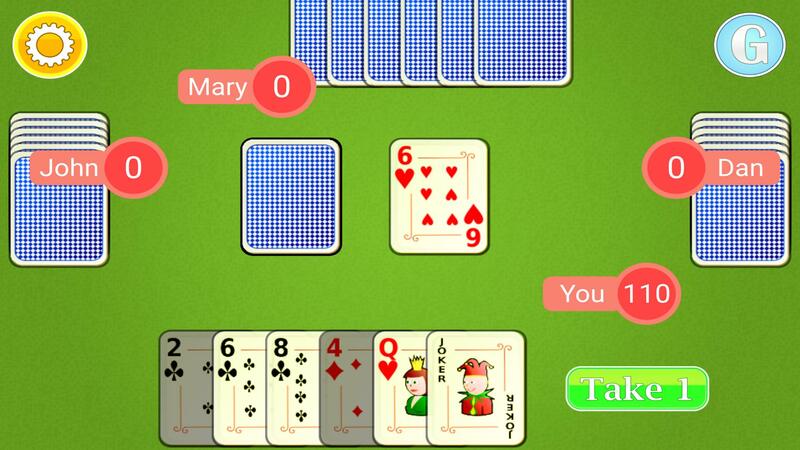 ✓ You can use the Jack to make the next player wait a turn. If the player before you places a Jack you can wait or place another Jack. 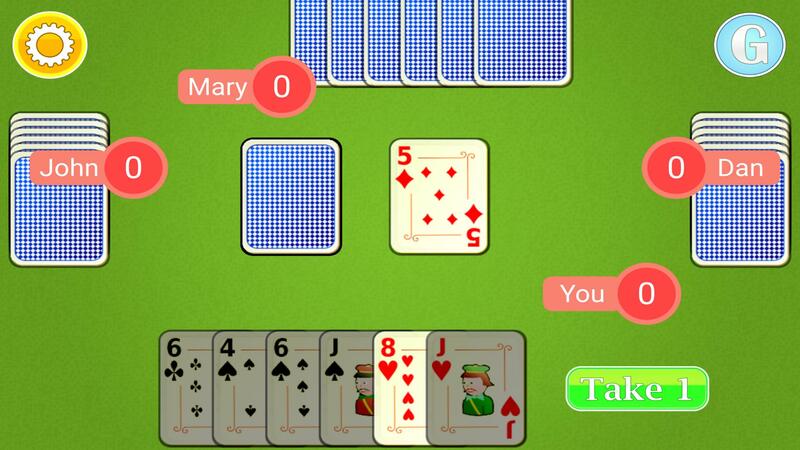 ✓ Following this turn the player who won't respond with a Jack waits a turn. ✓ If you don't have a suitable card, you can draw one from the stockpile. 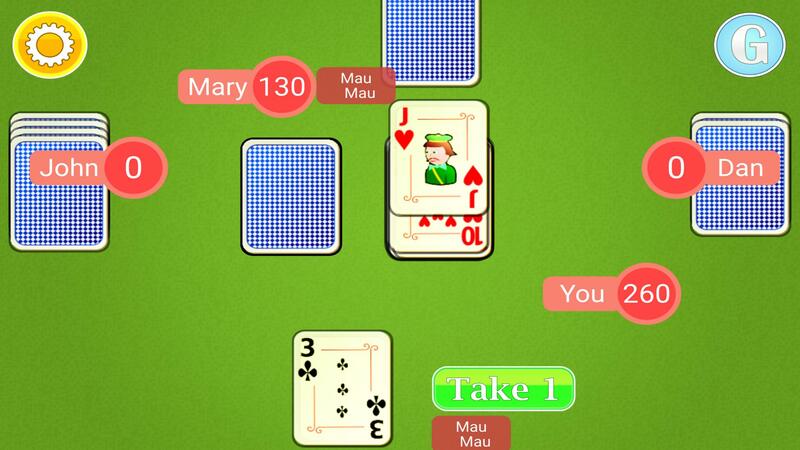 ✓ In order to wait a turn or take a card from the stockpile you need to tap the button next to your hand of cards. 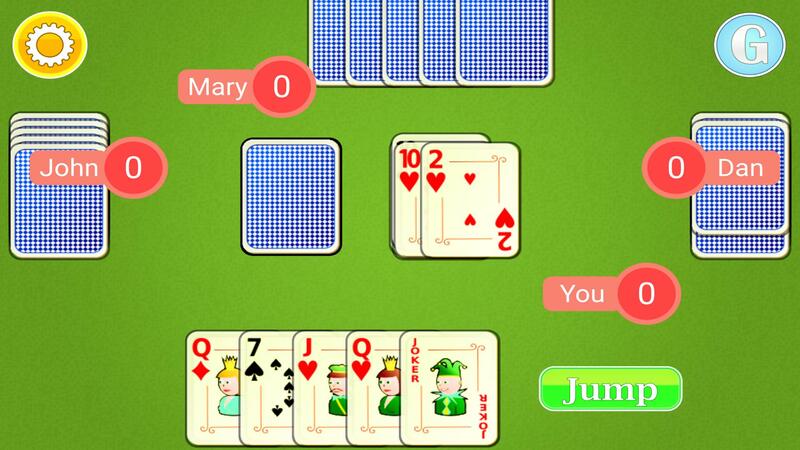 ✓ If you don't have a suitable card after taking one from the stockpile, you must tap the "Jump" button. ✓ You can use a 9 to reverse the order of the play. Normally the deal is done clockwise. ✓ You can use an 8 to change the playing suit color. After you place an 8 a menu appears from which you can select the suit you want. ✓ If other players specify a new suit using an 8, the type of the suit will appear briefly on top of the stockpile. 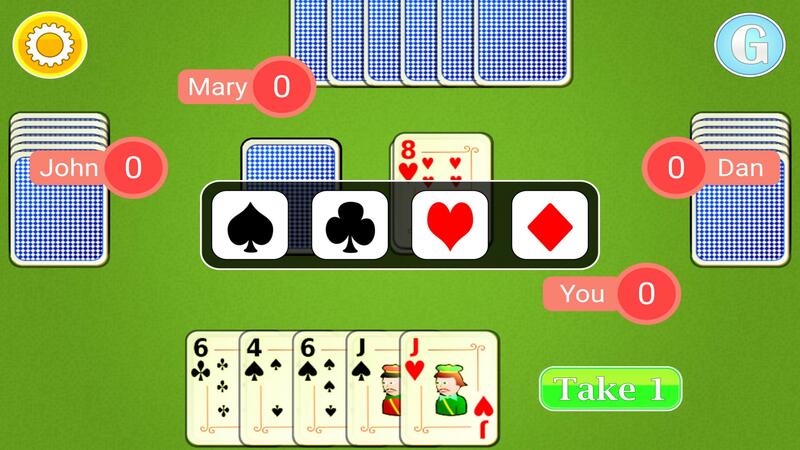 ✓ After a player plays all his cards, the round ends and points are awarded to this player. 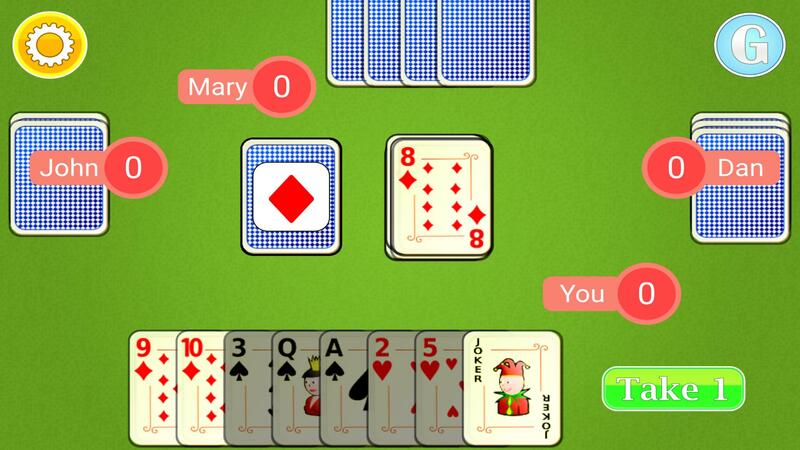 ✓ The points are calculated by adding 10 points for each common card and 50 points for eights, Jacks, nines, and twos. 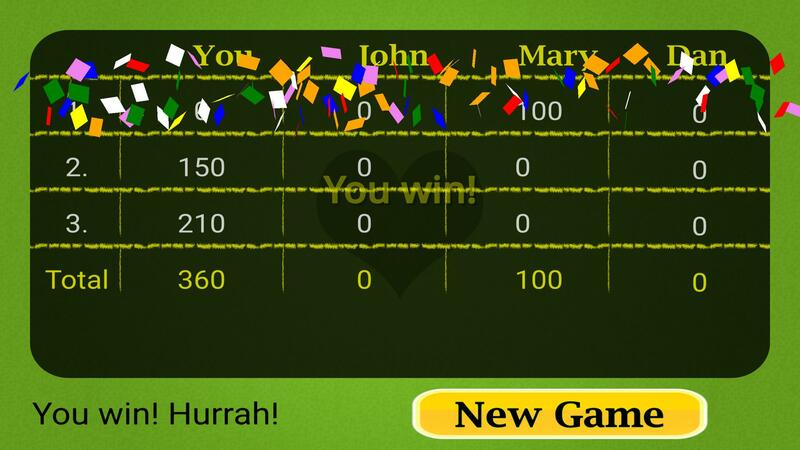 ✓ The first player to reach 300 points wins the game. ✓ The game saves its state so you can exit the game and return from where you left.